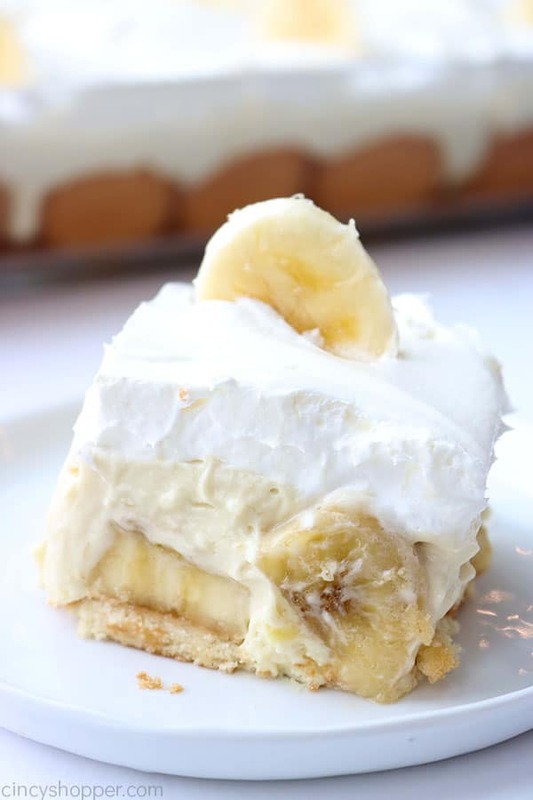 This Banana Pudding recipe is just like the traditional recipe that grandma made without all the fuss. We use store bought ingredients to make it as easy as possible. It’s perfect for serving a crowd. 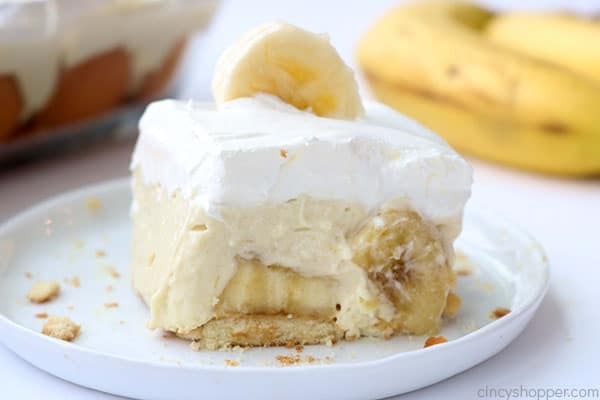 Banana Pudding is a classic recipe that has been around forever. I am willing to bet that your grandmother has made it a time or two. You will find quite a few different versions of the recipe floating around on the internet. Most of the recipes are quite similar and some are very easy to make while others are a bit more time consuming. 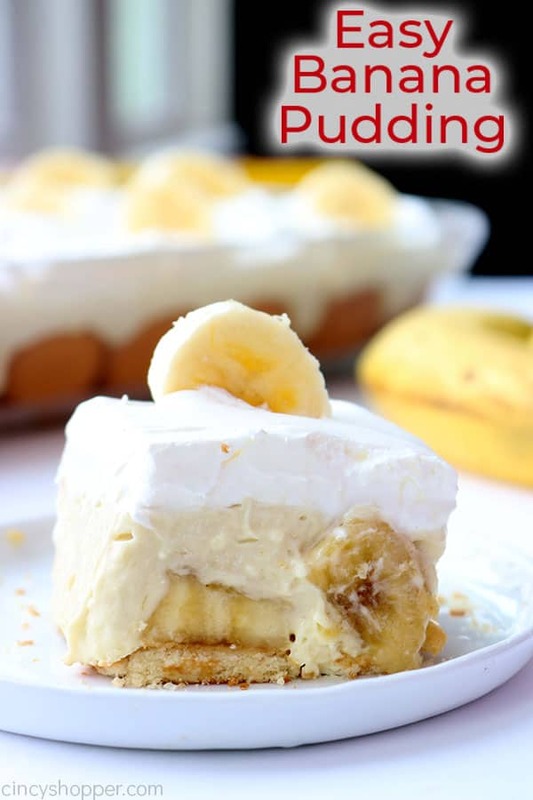 Many are surprised to find that banana pudding is traditionally made with vanilla pudding or a vanilla based custard. 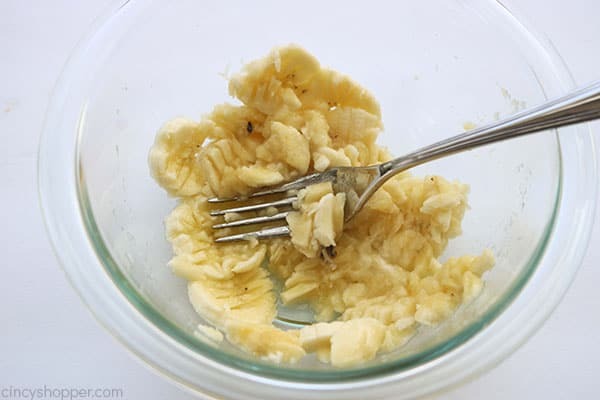 Some are also shocked that the recipe does not have as much banana flavor as one would expect. Over the years, this southern recipe has been modified by so many. The old school version is typically made from scratch. Over time, the recipe was adapted to be made with store brought products that allow for no cooking. 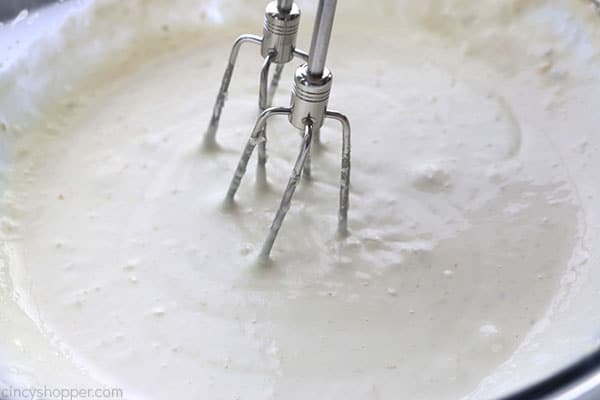 Most recipes now use Cool Whip or homemade whipped topping instead of meringue. It has evolved into such a easy and uncomplicated recipe. But it did not lose its flare. If anything, I think it tastes better than the original southern homemade version. It has still kept its light and tasty flavors found in the original. 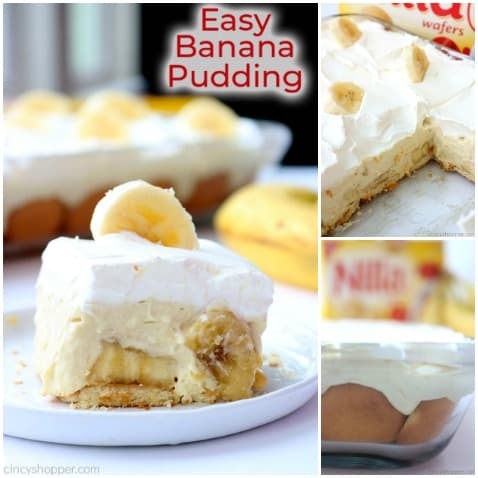 My Easy Banana Pudding uses instant vanilla pudding, cream cheese, Cool Whip, and sweetened condensed milk. You will find it to be very similar to Paula Deens recipe. 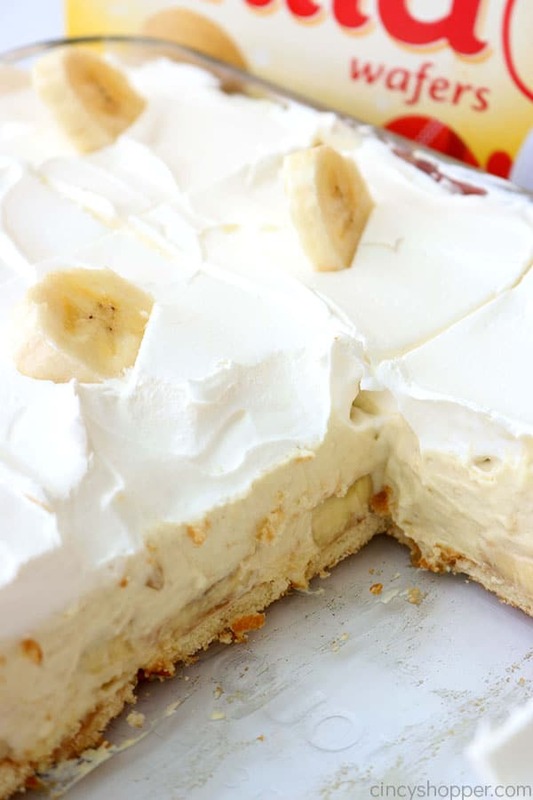 I change things up just a bit by using Nilla wafers because they are a classic staple for many traditional banana pudding recipes made in the past. I add in one mashed banana for a bit of added banana flavor. 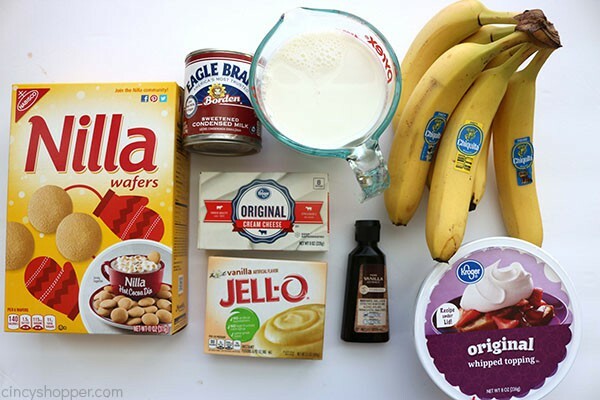 Adding the banana really makes this recipe stand apart from the rest. It’s absolutely delicious. No bake and make ahead desserts happen to be my favorite recipes. I am always sharing them here on my blog. They are usually quick, easy, and simple to make. I try to keep Easter dinner simple especially the desserts. 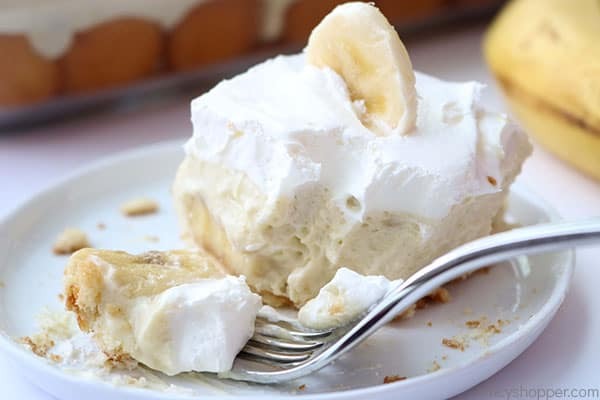 I normally make my Easy Banana Cream Pie if I am serving just my immediate family. When I am serving extended family or friends, I make this Easy Banana Pudding because it is great for feeding a crowd. I can make it the night before our gathering and it is always one of the first desserts to be finished off. Many are shocked to see that banana pudding recipes are including cream cheese and sweetened condensed milk. Years ago, when I first made this recipe, my husband was very skeptical. He is not a big fan of cream cheese so he was immediately turned off before I even made this version. He grew up with the from scratch recipe so I can understand why he was apprehensive. If you are a traditionalist, put aside your fears and give this recipe a try. It will not disappoint! I have kept the recipe as simple as possible. 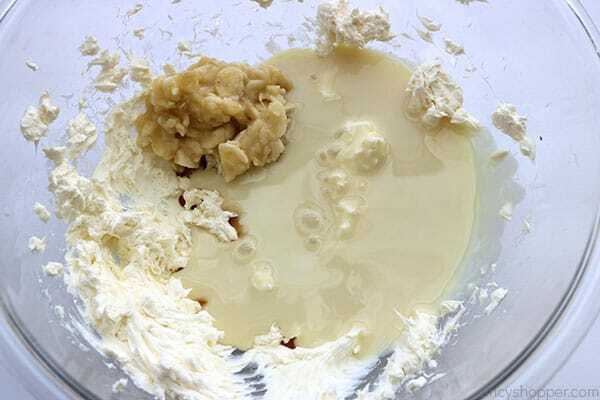 You will just need a handful of basic ingredients and a few minutes time to prepare. Be sure when purchasing your vanilla pudding that you choose the instant version. You will not want to use the cooked version because you will have a soupy mess. 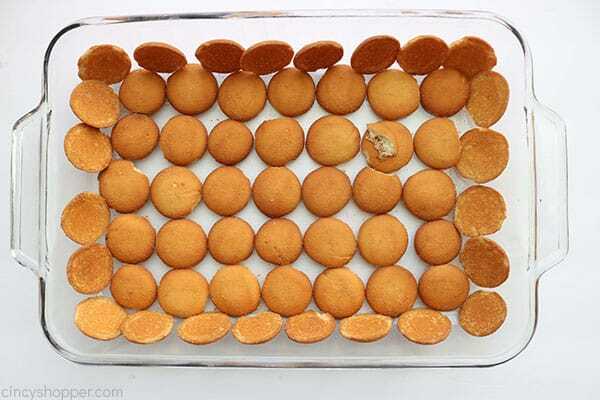 Line a 9×13″ baking dish with vanilla wafers on bottom and sides. 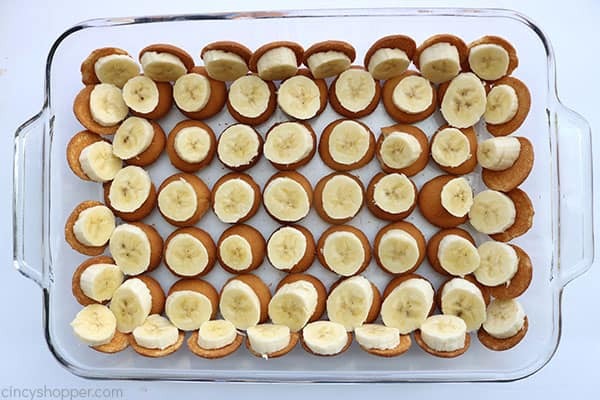 Put a slice of banana on each wafer (About 3 and 1/2 bananas). Set aside. Add mashed banana, vanilla and sweetened condensed milk. 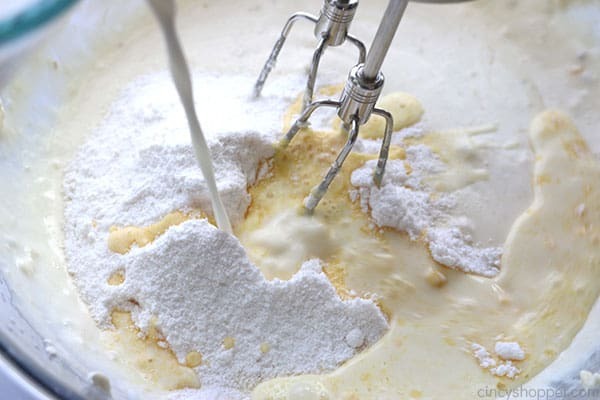 Add in milk and pudding mix. Beat at least 3 minutes to allow thickening. 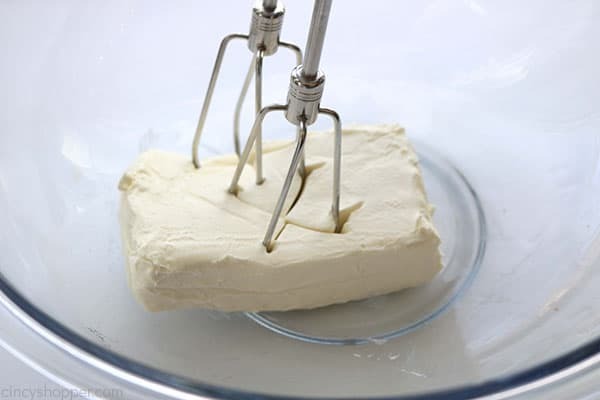 Fold in 4 oz of whipped topping. 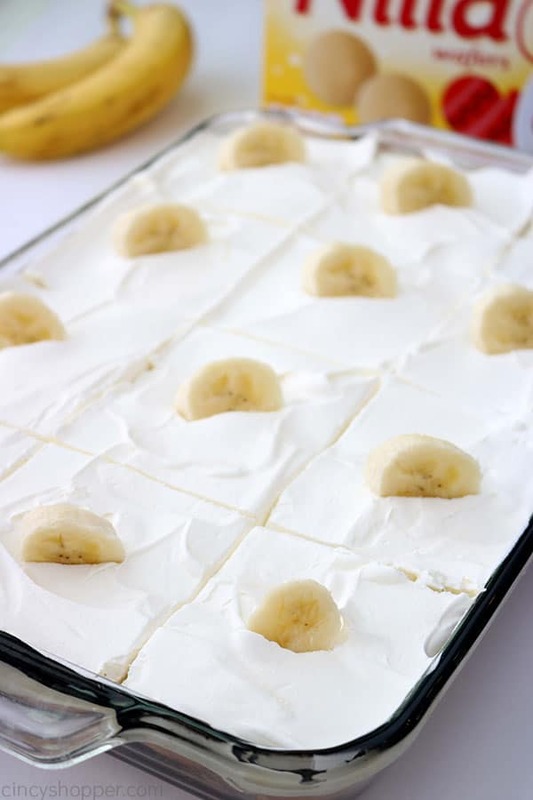 Spread mixture in baking dish, being careful not to disturb wafers and bananas. Top with remaining banana slices before serving. 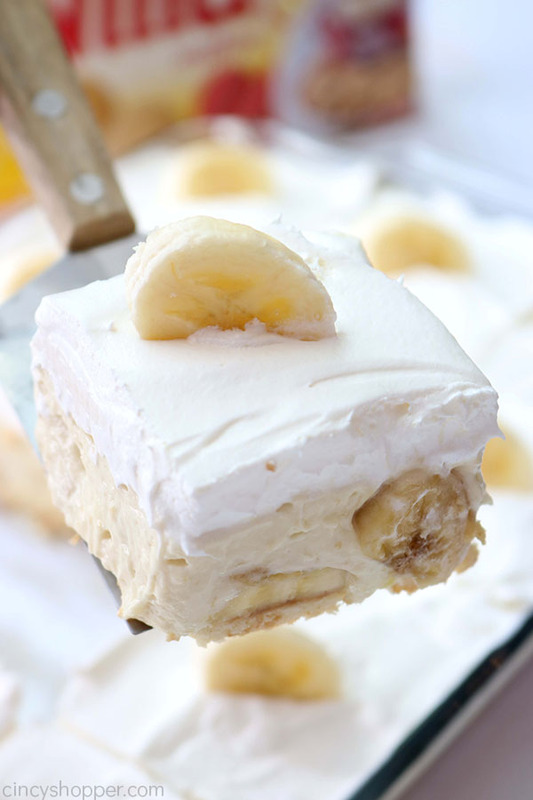 Can you make Banana Pudding ahead of time? Yes, you will want to prepare this one at least 4 hours ahead of time. I typically make mine the day before. I place in the fridge overnight for the best results. Time is needed for the custard to soften the wafers. Sometimes allowing dishes like this to sit for a bit of time makes them taste better. 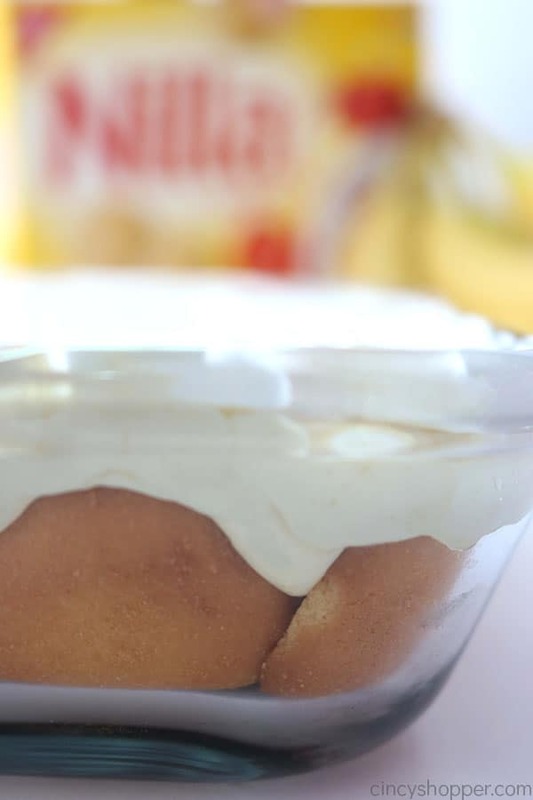 Can this Banana Pudding be made in a trifle dish? 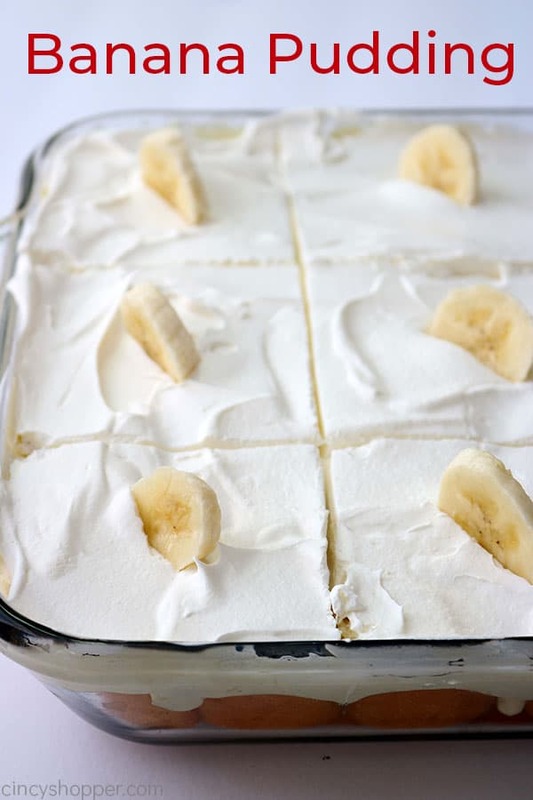 Sure go ahead and layer your wafers, filling, sliced bananas and whipped topping with even layers in your favorite trifle dish. I personally like making ours in a casserole type dish. I can then cut into squares for equal size servings. Will my banana slices turn brown? Yes, your layered slices will turn slightly brown. They will have no impact on the flavor of your dessert. I have found mine usually only slightly brown even after making 24 hours ahead. I do add sliced bananas on top for garnish just before serving. If you are needing to prep the garnish ahead of time, you can soak your slices in a bit of lemon or lime juice. The process keeps the banana from browning. Can I use homemade whipped cream? I kept this recipe so very simple because I like it to be easy and the less mess I create the better. 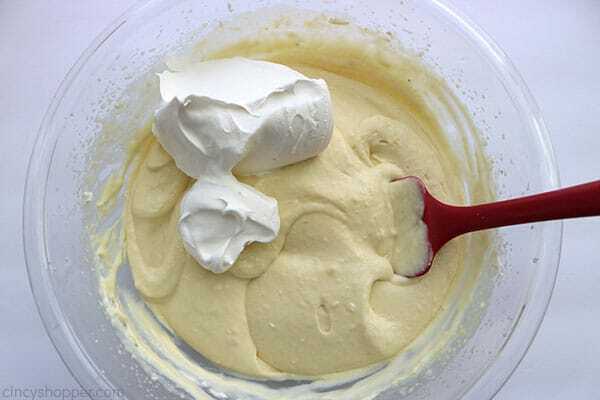 If you prefer freshly whipped cream, you can use it to. You will want to add some stabilizer if you chose to use fresh especially if making ahead of time. The Cool Whip really allows the custard and top to stay more stiff. Line a 9x13" baking dish with vanilla wafers on bottom and sides. This looks so good! I’m making it for my husband for Valentines Day!